It used to be the case that the point at which most people started to nurture festive cheer and excitement was when the classic “Holidays are Coming” Coca-Cola advert first appeared on the television. While this cultural phenomenon remains to a greater or lesser extent true, another indicator has more recently emerged; the gingerbread latté. To be frightfully honest, I’ve only ever had one of these Western delicacies and while it was somewhat delicious, I prefer my coffee bitter and strong. Besides, most gingerbread lattes are served from the centre of caffeine Hell (Starbucks) and are, as such, rather un-frugal. You’ll be glad to know that I’m using a bonafide gingerbread recipe for these cupcakes, one that featured on FrugalFeeding sometime ago. The one way to spoil a recipe such as this would be to use a modified sponge recipe; the depth of flavour just wouldn’t be there – black treacle is simply a must. Happily, this is an old recipe from when people knew how to do things properly – none of these dietary requirements. After all, Katherine’s grandmother swears by it – it must be good. There’s something rather exciting about turning a well-loved drink into something edible, as opposed to drinkable. Now I think about it, cupcakes seem to be the perfect way to approach such a transformation since, like most sweet hot-drinks, they have a body, a topping and a sprinkle, or garnish. Take these for instance, the base is gingerbread, the topping is cream and the garnish is freshly grated nutmeg – perfection. Enjoy! 1. 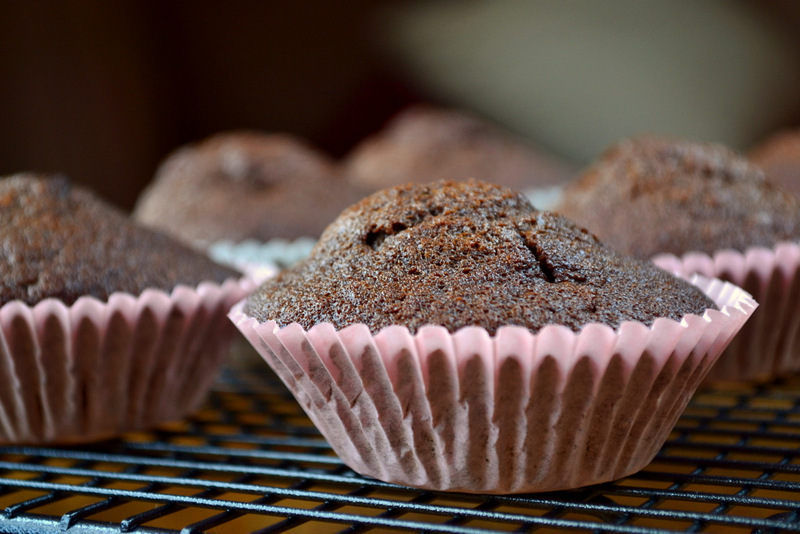 Heat the oven to 180C and prepare your cupcake cases. Sieve together the flour, salt, ginger, mixed spice and bicarbonate of soda, before stirring in the sugar. 2. Melt together the butter, treacle and syrup over a gentle heat. Gradually beat in the milk and allow the mixture to cool a little. Beat the eggs before stirring them into the treacle mixture. Stir the wet mixture into the dry, tip into your cupcake cases and bake for 16-17 minutes. 3. Place on wire rack to cool completely before decorating with whipped cream and a little freshly grated nutmeg. 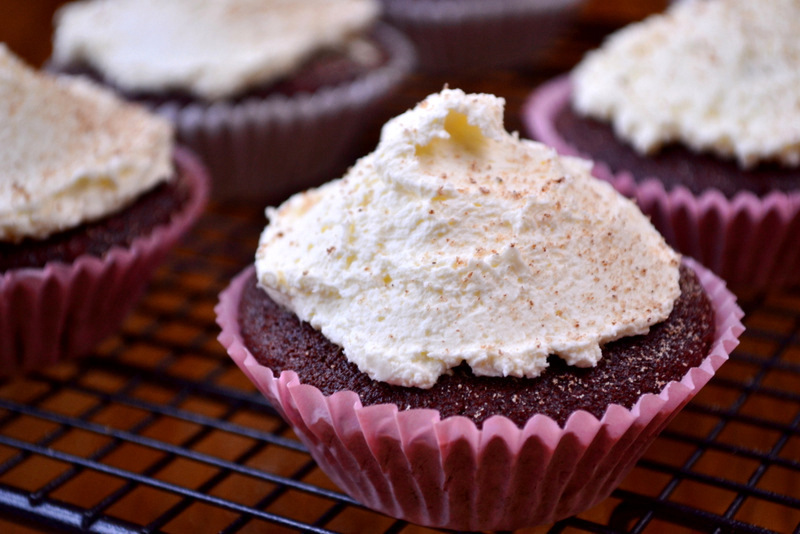 Cost: Like the gingerbread that came before them, these cupcakes are sensationally frugal. Admittedly, these work out a little more expensive as a result of the added cream, but it’s worth it… trust me. Despite that dairy-based addition, these cupcakes should set one back no more than around £2! I need to head to the kitchen right now to make these. Yum! I much prefer my coffee unadulterated also. You definitely do! it’s far better that way! You just need to have one of those cupcakes with my Gingerbread Latte 😉 That would be perfection…..
Sarah! That was my thought!! Not from starbucks I hope! Hah! She’d be hoping for one of my handmade ones 😉 SB ones are waaayyyy too sweet! Oh these sound so good. My boys are really into gingerbread at the moment so we might have to give them a go. Thanks! I’m sure they’ll adore them! Starbucks comment much appreciated. Independent coffee shop alternatives exist almost everywhere you find the ubiquitous tax dodgers. It may be roulette, but worth a shot to try anywhere else (apologies for the pun, I can’t stop myself). I’m glad you enjoyed that! Exactly! They are always better! Haha! Thanks! I don’t eat that much of it, but I do love it… Haha – well you’ll have to let me know when you do! Wow! They look absolutely amazing and, being a ginger addict, I feel compelled to try baking them very very soon. Do you think they could work with soya milk instead of dairy? And do you think the boyfriend might not notice they actually contain ginger? I made him OD on it while I was pregnant and he has, for now, banned me from cooking with it…PS couldn’t agree with you more about Starbucks. Good coffee is a must and they do not make it. Haha – that’s all that needs to be said! Once again, a lovely blog! I cannot agree with you more, that Starbucks is way too sugary sweet and this is coming from a Californian! Thanks! It really is a must! Haha – my girlfriend laughed at that too! Wow! Fabulous holiday recipe! Love the extreme close-up photos. Are you using a new camera? please do – they are incredible! True gingerbread is one of my favorites; especially this time of year. What is the difference between treacle and molasses? Me too – it’s so tasty! Umm… nothing, I don’t think… we call it treacle in Britain. Love ginger! And it is so good for you! 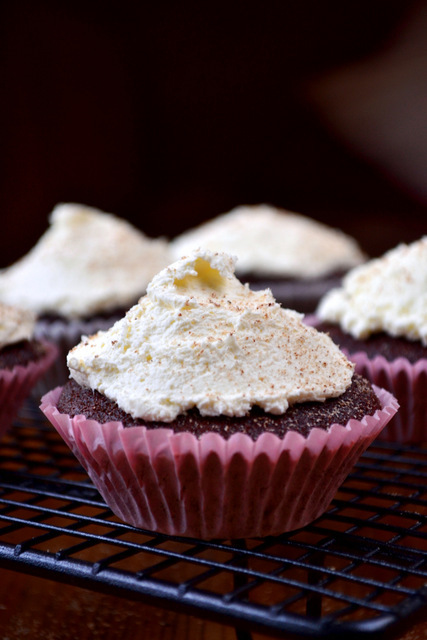 I loved that you topped the delicious cupcake with cream and nutmeg! Ohh swooon. These look so good. These look/sound delicious! The topping is so pretty! Gorgeous. And so much better than some highfalutin drink. I did some gingerbread-inspired baking myself this weekend. Tis’ the season, I guess. Exactly! OH it is indeed. Wow they look so good! Wish I could have one, or 5, right now. And because I don’t drink coffee think I should try this recipe before Christmas. Yammy =). Those looks delicious. I was just wondering what do you mean about “1 tsp mixed spice” What is mixed spice? I haven’t heard that kind of spice. Though I live in Finland. Do you have something you can recommended instead? PS. Thanks for stopping by and liking my post, so I could find your blog. Count yourselves lucky! I hope you tried it! Mixed spice is a mix of cinnamon, nutmeg and cloves I believe! A perfectly appropriate seasonal treat (but I’d eat them any time of year!). this looks delicious… yum yum! I want one of these for breakfast right now! 🙂 Yummy! These look delicious! May have to have a go at making them! Please do. They’re so delicious. Thanks – they very much were! Looks delicious. The topping is very inviting! Love the idea of a gingerbread cupcake. This time of year I’m all about cookies (or biscuits), but I’m going to make an exception and give these little lovelies a try. Thank you! Haha – I tend to avoid them too. Gingerbread aroma through the house just spells Christmas!! What a festive and delicious-sounding recipe! It does indeed! Thanks so much! Bona fide! (Have you seen Oh Brother, Where Art Thou? I can’t hear/read that term without thinking about the little Wharvey gals.) These look great, Frug. No, I’m afraid not – I’ll have to look it out! Thanks, Michelle! 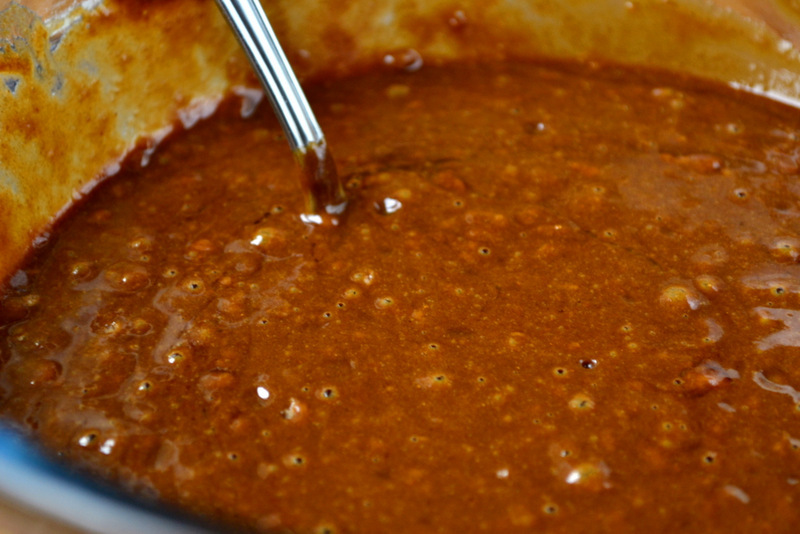 Umm – it’s just a basic mix, I think it contains nutmeg, cinnamon and cloves… yes, molasses! Looks great, I just retrieved my cupcake tin from my parents house, good to have some ideas. Thanks! I agree – I’m not a fan of the usual suspects! Double cream and all that other goodness. Wow, these look awesome. Hehe – a bit naughty I guess. Definitely – sadly I don’t have a TV atm.